3 bedroom, 2.5 bathroom Fazio villa located in the beautiful Palmetto Dunes plantation! 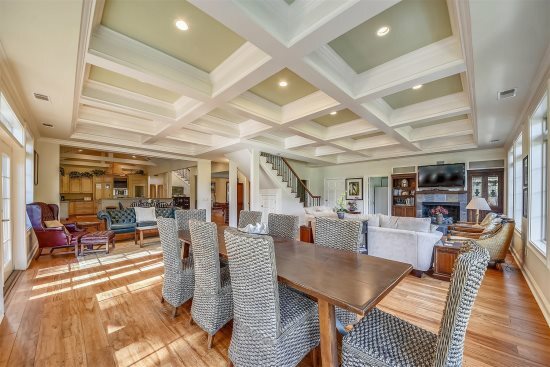 Fazio 35 is a beach lovers updated dream vacation villa. 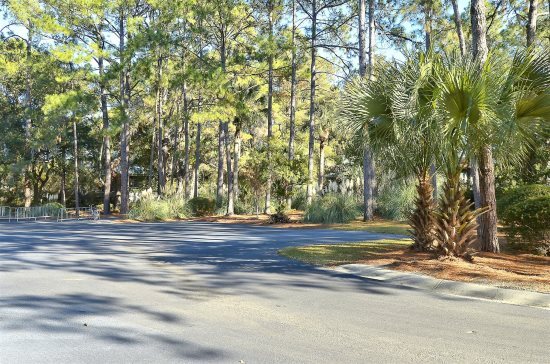 This 3 bedroom and 2.5-bath Fazio townhouse is only a 7-10 minute walk from the Palmetto Dunes beach. Just off of the two-story foyer is a short hallway, giving access to a half bath, and the foyer also leads to the fully equipped, open kitchen with updated counter tops, wood tile floor, beautifully white cabinets, and updated stainless steel appliances. The adjacent laundry room is equipped with a full sized washer and dyer. The formal dining area has a table for 6 and a large window with a slider door to the covered deck, which has an additional table for 6, as well as a lovely landscape and lagoon view. 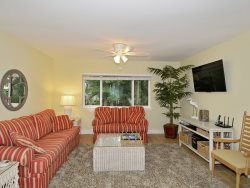 The beautifully furnished living room features a LCD TV, and a DVD player. Upstairs, the large master bedroom has a king-size bed, a flat panel TV, double windows offer beautiful views of the landscape and the room features a private bath with a shower tub combination and double vanities. The 2nd upstairs bedroom features a queen-sized bed with TV, large sliding glass doors lead to a balcony with views on the lagoon, and a Jack & Jill bath leads to the 3rd Bedroom. The 3rd bedroom features two twin beds. Please specify # of security gate passes are needed at time of reservation; Car passes are charged per week per car.